Scientists at The Scripps Research Institute in La Jolla said Tuesday they've identified four antibodies that target weak spots on HIV, which could help in the development of a vaccine. 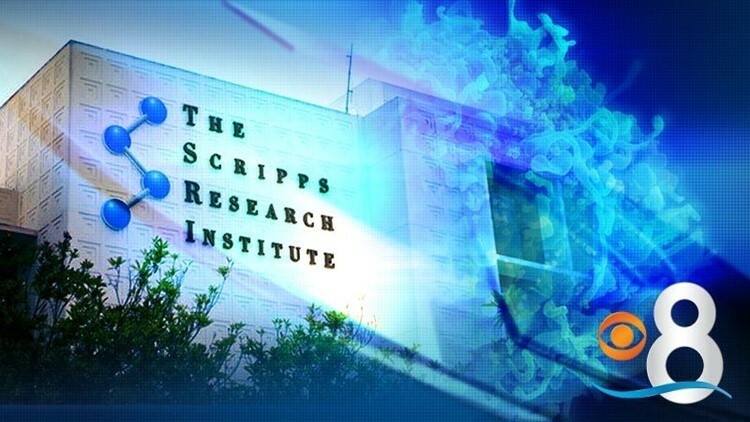 LA JOLLA (CNS) - Scientists at The Scripps Research Institute in La Jolla said Tuesday they've identified four antibodies that target weak spots on HIV, which could help in the development of a vaccine. The researchers said they were subsequently able to mimic the molecular structure of a protein on HIV when designing their own potential HIV vaccine candidate - important because those antibodies appear to be produced naturally by the body in only small amounts. "This study is an example of how we can learn from natural infection and translate that information into vaccine development," said TSRI research associate Raiees Andrabi. "This is an important advance in the field of antibody-based HIV vaccine development." Andrabi is the first author of the study, which appears in the journal Immunity. The findings build on the success of several recent studies showing that, with prompting, the immune system can develop antibodies to neutralize many strains of HIV, according to TSRI. In the latest research, the scientists carried out a series of experiments involving virus modifications, protein and antibody engineering. They found that the four antibodies targeted a single spot on HIV's surface called the V2 apex. Those antibodies recognized the area on about 90 percent of known HIV strains - and even related strains that infect other species. A vaccine targeting this region could protect against many forms of the virus, according to TSRI. "This region helps stabilize the virus, so it's an important area to target if you want to neutralize HIV," Andrabi said. Two of the antibodies bound with the V2 apex without having to mutate, which they often need to do first, providing hope they can kick start the immune process, the scientists said. The next step will be to test the vaccine candidates in animals, according to TSRI. The study was supported by the National Institute of Allergy and Infectious Diseases, the Bill and Melinda Gates Foundation Collaboration for AIDS Vaccine Discovery, the International AIDS Vaccine Initiative and the U.S. Agency for International Development.